Some solar bike have carried different participants over the years after being refurbished. Anick-Marie's '13 became Pauline's' 15, Elise and Denis' '15 become Louis & Michel's' 17, Cauquil's '15 became Francis' '17... This is probably not exhaustive. Sun Trip 2015 was initially planned for Milan-Kazakhstan, but the route was changed 6 months prior to departure due to unstable geopolitics 😔 or have us a chance to befriend dynamic Turkish organizations such as @bisikletli in our Milan-Turkey-Milan discovery route. @bisikletli 7\ Our oldest participant ever was Adalberto Cravero from Italy, 75 years old in 2015. 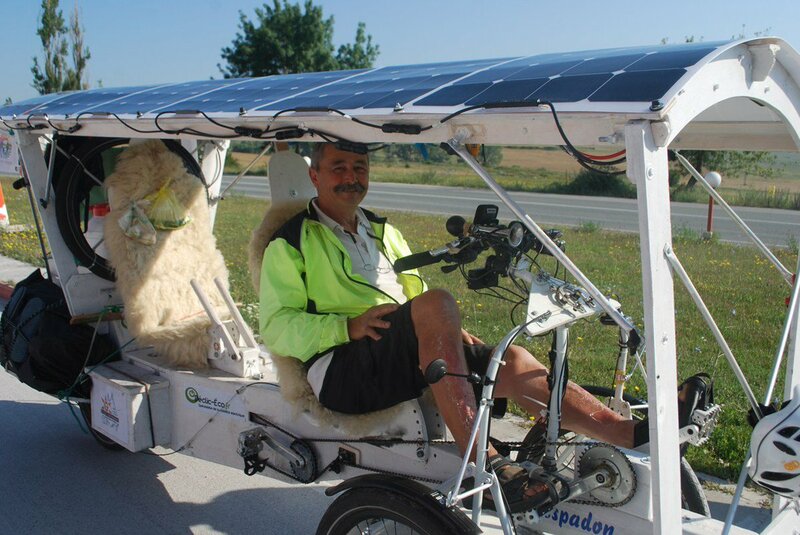 He abandoned in Antalya, but still went back home on his self-made solar bike, "Red Arrow 4". He has a solar bike #batcave and comes visit us every time he can! 8/ Types of cycles we've seen on Suntrips: upright, tandem, recumbent (bike & trike), Pino hase (used single & tandem), velomobile, handbike, handbike tandem, rowbike tandem, recumbent tandem (bike and trike), long-John cargo, rear-cargo, convertible cargo lowrider & wooden cart. 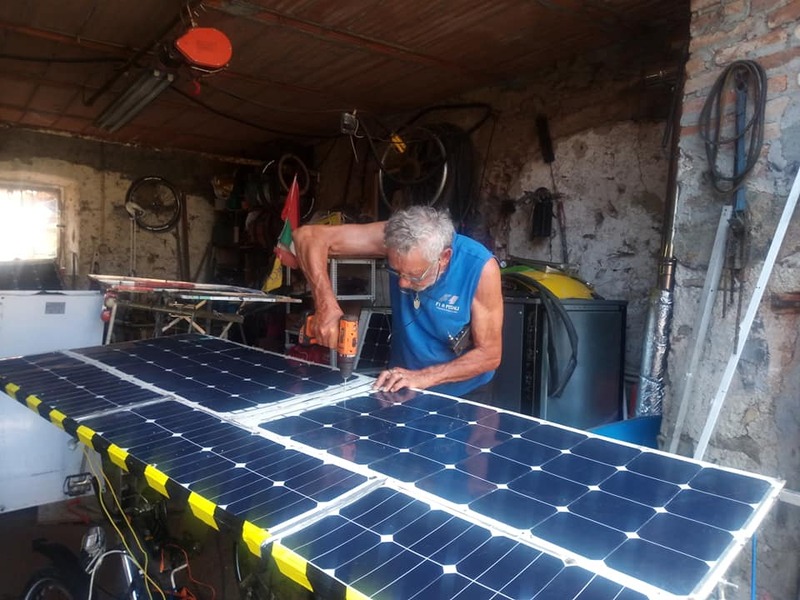 11/ We're hoping to see more riders complete the rally using only leg power and solar energy. In 2013, 10 made it to Astana. In 2015, 12 succeeded to get back to Milan. So far this year, there are 22 teams still riding 100% solar & muscle.